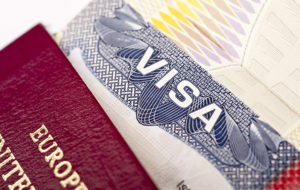 TORONTO — A recent independent survey of Canadian home-based travel agents found that over 50% of them had made the decision to go home based in the last five years, explaining the astonishing growth in this sector all of a sudden. It is now thought that about 33% of all Canadian travel agents work from home. Over 60% of the home based agents surveyed were experienced agents working in a bricks and mortar agency before choosing to go home based. 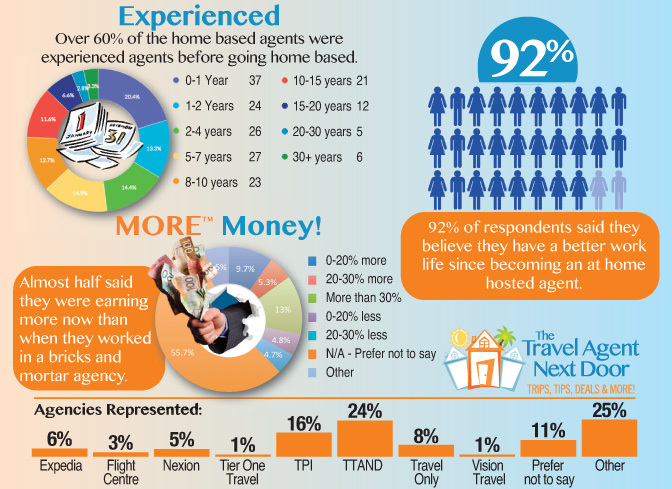 This dispels the false idea that home based agents are new to the industry and inexperienced. On the contrary, most home based agents have over 20 years’ experience in the industry. And almost half said they were earning more now than when they worked in a bricks and mortar agency. But the main reason these experienced agents are giving up their office positions seems to be about wanting to be their own boss. That and improving their work/life balance, as we have stated in an earlier article. Experienced agents also have usually gathered a good book of business as well, and have loyal clients who will follow them. The agents surveyed were currently affiliated with eight different host agencies from across Canada, with 12% not divulging who they were associated with. Flemming Friisdahl, Founder of The Travel Agent Next Door, says his company will continue to invest in third party research into the home based sector and he fully intends to share this information with the industry. “By understanding home based agents better, we can offer the best programs for their needs,” said Friisdahl.